When you have a hernia you’ll want the right holiday insurance policy to cover your condition. We’re not one-size-fits-all people, and we wouldn’t expect you to be. So we’ll help you tailor a policy that fits your needs and gives you the level and breadth of cover that’s right for you. It doesn’t take long, which means you can focus on the important business of planning and enjoying your trip. Our customers know we like to do things right. It’s why they’ve voted us the UK’s Most Trusted Travel Insurance Provider by Moneywise in 2018. So why not get your tailored quote for hernia travel insurance online, or talk to us now on 0800 033 4902. Can I go on holiday with a hernia? And can I fly with one? Yes to both, as long as your doctor has declared you fit to do so. If your doctor has declared you unfit to travel, then your cover will not be valid as it may not be safe for you. Travelling immediately after hernia surgery may be deemed safe, as long as extra precautions are taken. That can mean not lifting heavy suitcases or undertaking strenuous activity. There is an increased risk of swelling and strangulation, if you travel with a protruding hernia, again your doctor will advise. Why do I need travel insurance to cover my hernia? It’s always worth being prepared for the unpredictable, particularly when you’re away from home. With a pre-existing medical condition such as a hernia, making sure that it’s covered by your travel insurance policy makes sense. In fact it’s not that uncommon for people to have to make a claim on their insurance. 1 in 20 people made claims on their Annual Travel Insurance in 2017*. The cost of medical treatment varies from country to country but in many it can prove expensive. So covering yourself with a good policy could end up saving you thousands in hospital bills you do ending up needing treatment for your hernia while travelling, or even helping you get back home from your trip. If you’ve recently had surgery to correct a hernia, there is a chance it may reoccur, so it’s a good idea to have medical cover just in case. Of course, your doctor has to declare you fit to travel first. We think travel insurance is worth doing well. Don’t you? What kinds of hernia can I get cover for? To find out whether we can cover your hernia, we’ll first need you to complete a medical screen. What is a medical screen? We’ll simply ask you a few questions about your hernia condition and any other pre-existing medical conditions you have. If a medical condition is not included in your policy it could end up meaning you are not covered in the event of a claim. So we like to do things by the book, just to be on the safe side. 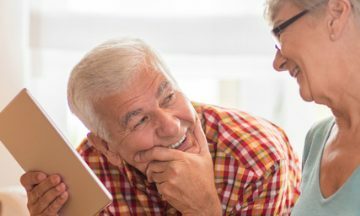 In order to make sure your policy is properly tailored to cover you, it’s important that you give full and accurate answers. It’s probably a good idea to have details of your medical condition to hand during the screening process. What kind of hernia do you have? Do you take regular medication for this? Has your hernia been successfully treated with surgery? You can answer these questions online or by talking to us. They’ll help you through the process and answer other questions you may have. It’s really quite straightforward and only takes a few minutes. You can get a quote online now or call us 0800 033 4902. Will a European Health Insurance Card (EHIC) cover my hernia condition? Carrying an EHIC is a condition of our insurance if you’re going on holiday or taking a trip in most parts of Europe. With an EHIC you’re eligible to subsidised or free healthcare in most European countries when using their state healthcare provider (like our NHS). This covers all EEA countries (that’s all EU members plus Iceland, Norway, Lichtenstein and Switzerland). But please be aware: even within the EEA, a few places such Monaco and Jersey, do not accept EHIC. However, an EHIC does not cover you for non-medical issues that can go wrong. If you have to cancel your holiday, or if you have to pay for medical transportation home, EHIC will not cover this. So although you should certainly take it along with you, an EHIC is no substitute for good travel insurance. Single Trip Travel Insurance is just the thing if you’re going for a one-off holiday. From UK city-breaks to worldwide tours, you’ll be covered with our Single Trip policy. You can add in as many destinations as you want within the trip, and your cover can last for up to 104 days. Your cover stops once you’re back home safe. Annual Travel Insurance may suit you better if you’re planning on taking more than one holiday within a year. It can cover all of your trips in that time. It could even save you up to £79** compared to buying a single policy for each trip you take. 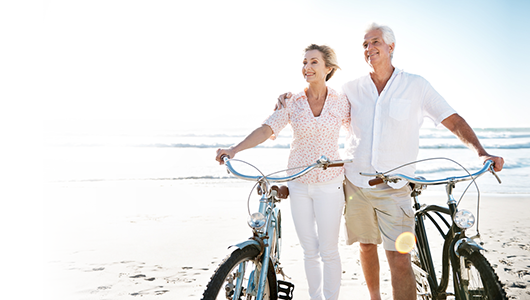 If you’re under 70, you can stay for up to 50 days in any one trip, up to a total of 183 days. And if you’d like to stay away for up to 100 days on one trip, this can be extended for an additional premium. Whatever your travel plans, and whatever your medical conditions, all of our policies can be tailored to best suit your needs. What if the two policies above aren’t enough to cover your plans? No problem at all – you can choose one of our long stay policies. 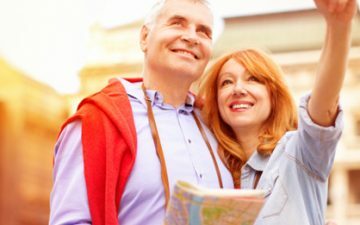 For under 65s, our long stay plan means you can you travel for up to 550 days – ample cover for a wild variety of trips or holidays, from around the word cruises to lengthy stays in favourite places. Here’s a simple comparison between our two levels of cover – available on both Single Trip and Annual Travel Insurance policies. What if I have to make a claim? The good news is: if you do need to claim, we’re right on hand to help. With the right holiday insurance cover for your hernia condition, you be able to travel with the reassurance that you’re in safe hands should something go wrong. Now doesn’t that sound like good sense? What happens if I need medical treatment while abroad? That’s not a problem. You can call us 24 hours a day – so it doesn’t matter which side of the world you’re on. We’ll help arrange medical treatment with local doctors, and we’ll also provide translation if you need it. If you need to, you can even reverse the charges when calling us. A competitive price for your travel policy is always important. But what’s most important is being sure that you really have the right cover if it’s needed. With us you can be sure: we will be here when you need us to help, whether it’s an emergency or a claim. If basic cover will do you nicely, then that’s fine. But what if you need something extra? If that’s the case, you may want to think about tailoring your plan to increase your cover where it’s needed. Or, for full peace of mind, you may choose our comprehensive cover. In most cases, it’s got everything you could need in terms of eventualities covered for, and desired level of cover. But if you’re doing something extra-special on holiday? Such as a European river cruise? With your comprehensive cover, you can also upgrade to get extra cover for these sort of activities, so all your ‘t’s are crossed and ‘i’s dotted. To see what insurance cover we can provide you with, simply talk to us for free on 0800 033 4902 or get a quote online. Can I make changes to my policy even after I’ve bought it? If something changes before you go on your trip, we’ll need you tell us. It’s always worth doing right to save disappointment later. Whether it’s an update on your medical conditions or medication, or adding optional extras to your holiday, please do speak to us and we’ll do our best to see if we can increase the coverage where necessary. Please note: while we can increase your policy coverage, we can’t reduce coverage in return for a partial refund. So please do check that you’re happy with the level of cover when you book.